“Classicism is a broad river that has run through Western architecture for two-and-a-half millennia. A generation ago it seemed that the stream had reduced to a trickle. 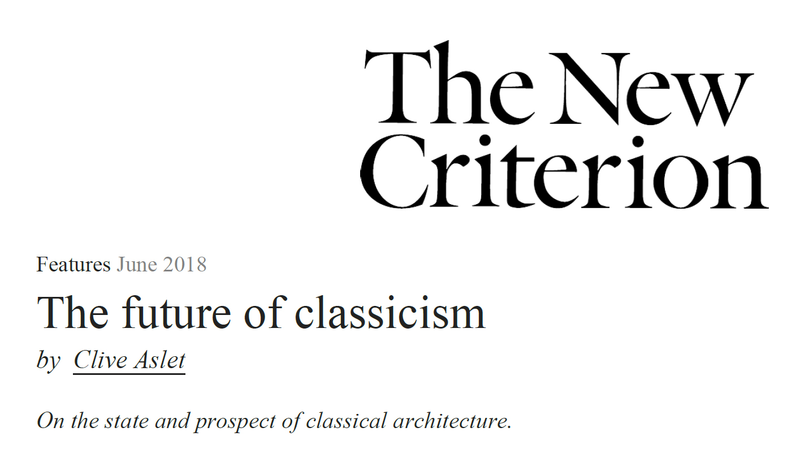 Only a small phalanx of recondite architects really understood the classical language of architecture; they were generally employed by private patrons whose social as well as architectural ideas were not at the cutting edge. And yet now, if not quite in full spate, the river has recaptured a degree of vigor. The flow has quickened, the banks are beginning to brim. What has happened, and what does the future hold?